Service Award (VRC/VEXU) Does not qualify for any events. Mentor of the Year Award (WC) Does not qualify for any events. Please download this document for information regarding direct qualification to the 2018 CREATE US Open. Should we have to cancel the event we will refund teams, minus the non-refundable $5.00 RobotEvents fee. Should we have to cancel the event we will refund teams. Specific event needs will follow at a later date. This is our 7th event and offers a good opportunity for newer Event Partners an Volunteers to experince and learn. Please contact us if you are interested in volunteering with us. Please don' hesitate to contact us of we can assist you on your event. The event area is a multi-use area and we must be out by 4pm. This is why we are starting our event early to allow us to complete by 2:30 and have the venue cleaned and be out be 4pm. Under one week left until our fun-filled day at FCA Elementary School (6210 Ward Rd. Arvada, Co)! The school is on the east side of Ward Road, just south the 64th Ave.. The main entrance and parking is on north side of the building. A map is attached. Attached please find the consent form that must be filled out and turned in at check-in for all teams, coaches, and volunteers. No 9V battery. This will cause your robot to reset during competition if you draw too much current. Ensure that you have the latest version of firmware loaded onto your Cortex AND Joystick(s). Safety Glasses All participants must wear goggles while competing. You may bring your own food or purchase pizza and other snacks at the event. The FCA HS Robotics Club will be running concessions (as well as volunteering many hours for this event). All proceeds will go to help fund their teams. The attached Pre-Order Lunch Form should be turned in at check-in. Email order to robotics@fca-schools.org by Wednesday Evening. Present this form and payment at check-in. Please bring cash or check. This event is sure to be a fact-paced and exciting event. All teams should come prepared for competition. Here are a few steps that every team should take to ensure they are prepared. 1. Review the rules and run through the inspection checklist about a week before the competition so that there is ample time for adjustments. The inspection checklist can be found here. 2. Check the official VEX forums for rule updates and changes. 4. Pack for the event the day before the day of departure. Here are a few items that you don't want to forget. 5. 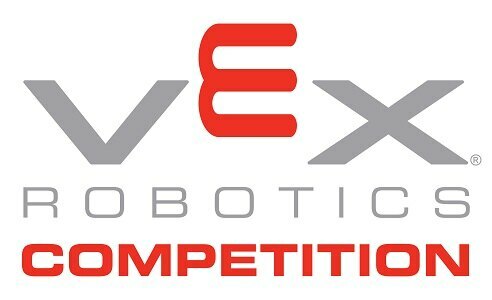 Be sure to read 101 Things You Should Know Before Your First VEX Tournament. 6. Review the descriptions and criteria for the awards that are being given during the tournament. 7. Prep for your interviews with the judges. Check the awards tab to see what awards will be given during the tournament. 8. Remember that safety comes first, please don't bring tools that pose a safety risk to your team, or others nearby as the venue is a very tight fit. Also, remember no grinding or other actions that create sparks. 9. Understand how the game will be played. VEX participants are more than welcome to watch the referee training videos before they attend a tournament. 10. Read through the Robot troubleshooting guide. The guide can be found here. 11. Ensure that you have the latest version of firmware. A completed form for all participants must be turned in during check-in. Team leaders will need to collect the completed forms for all team members attending the event and turn them in to the registration desk when checking in. 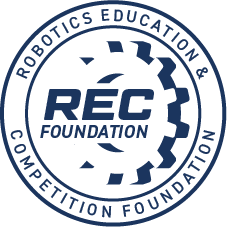 Download the VEX/RECF Consent & Waiver Form. All teams will be given 4 skills runs of their choosing. Three runs will be allowed before lunch and one after. If you elect to stop a run early, that run cannot be made up. NO EXCEPTIONS.